We know well here in this community, in the last couple of years certainly, that we have a flooding problem in this area. Both Mill Creek and Mission Creek are problematic, Kelowna-Lake Country MP Stephen Fuhr said. The 2017 flood season damaged many homes and business along the creek, which winds its way across the city. On Friday morning, Ralph Goodale, federal minister for public safety and emergency preparedness, announced $22 million for flood mitigation work along Mill Creek. Federal minister Ralph Goodale, left, Kelowna mayor Colin Basran and Kelowna-Lake Country MP Stephen Fuhr talk to the media in Kelowna about federal flood prevention funding on Friday. 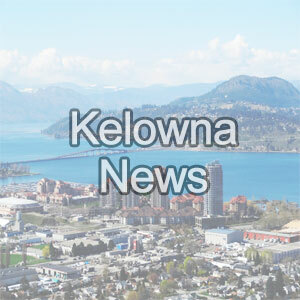 Standing along Mill Creek, Goodale said extreme weather events like floods are getting worse and more frequent and in Kelowna, flood mitigation work along Mill Creek is a high priority. “Absolutely thrilled because we’ve seen how climate change is impacting our community. We have seen significant flooding over the last few years,” he said. “Increasing capacity along Mill Creek, increasing storage capacity along Mill Creek, maybe diversion projects where some of the creek will be diverted to other bodies of water,” Basran said. The work will happen in stages beginning some time in 2020 and could take up to eight years before it’s all complete. While it will take some time, residents living near the creek who were hard hit by the floods were delighted to hear the news. She, too, was relieved to hear about the funding announcement, adding that each project will be another step toward feeling secure. Federal Public Safety Minister and Emergency Preparedness, Ralph Goodale has been handing out goodies for the last few days in the Okanagan, but he saved the best for last in Kelowna Friday. Goodale announced $22 million for the Mill Creek Flood Mitigation Project which will be used to protect homes and businesses along the Mill Creek floodway. "Now more than ever, communities need help adapting to the frequent and intensifying weather events caused by climate change. Reducing the impact of natural disasters such as flooding and wildfires is critical to keeping Canadian families safe, protecting local businesses and supporting a strong economy and the middle class." The flooding of Mill Creek in 2017 and 2018 resulted in record-breaking stream overflows that impacted residents, parks, trails, and roads. Kelowna residents faced extensive property damage in nearby subdivisions, interrupted access to public services and businesses, and impacted the Kelowna International Airport. Goodale was joined at today's announcement by Stephen Fuhr, Member of Parliament for Kelowna-Lake Country, and His Worship, Colin Basran, Mayor of the City of Kelowna. "The City of Kelowna is pleased to receive this important federal funding to support improvements to flood protection infrastructure around the Kelowna International Airport and other flood-prone sections of Mill Creek. Our citizens have told us that we need to take action in the face of climate change, and today’s funding announcement marks a significant turning point toward reducing future flood impacts to our community." The minister says the Mill Creek Flood Protection project will increase creek capacity through rehabilitating creek riverbanks, integrating increased drainage solutions, and adding new off-stream water storage areas. Goodale also says the program will improve fish spawning areas, protect local wildlife as well ensuring fresh safe drinking water. This money is being provided through The Disaster Mitigation and Adaptation Fund (DMAF) which is a $2-billion, 10-year program to help communities build the infrastructure they need to better withstand natural hazards such as floods, wildfires, earthquakes and droughts.